Watch the video of President Nathan’s press conference at the Istana below. An Elected President can do more to protect our interests – regardless of whether he is an executive or non-executive president. 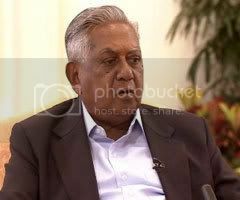 I became worried when I first heard and read the excerpts of President S R Nathan’s February 17 press conference which was held primarily for him to explain his stand on the Government’s request to dip into past reserves. “It’s for the Government in power to determine what needs to be done. I’m not an Executive President … it’s for them to find solutions to our nation’s problems and come up with proposals,” the President said. The confession that he is not an Executive President cannot be faulted by anyone. That was made clear by then Prime Minister Goh Chok Tong in August 1999 when he rebutted several points raised by the late President Ong Teng Cheong during his press conference on July 16, 1999. Yet, would it be deemed unreasonable if we were to expect an elected President – whose annual salary in 2007 is reportedly more than $3 million – to work together with the Government to tackle the nation’s problems, instead of merely giving his nod to the request to draw $4.9 billion from the reserves to meet these challenges? Giving his approval to draw the past reserves in view of the “urgency” is one thing. It is, however, a separate issue altogether whether the President had given his approval because he genuinely believes that the Government’s initiatives, such as the Jobs Credit Scheme, would indeed help to save a significant number of jobs. In short, the key question on the President’s mind ought to be: Would such a move to dip into the reserves be a worthy one? We have no inkling of how the President views such initiatives since he was reported to have reiterated during the press conference that he was “not here to judge whether these schemes would ultimately work” – although he added that he would have rejected “scatter-brained” proposals. At the same time, it is certainly not comforting to note that the Finance Minister submitted a formal proposal to the President only on January 20 – in view of the fact that Budget Day was two days away. Was the Government highly confident that the President would certainly agree to their request? If so, why is that the case? What if the President needed more time to make his decision? What if the President decided against such a request at this point in time? Many issues have arisen from the President’s press conference. On the surface, the press conference seemed to have answered critics who had wondered or questioned how the President’s approval was obtained. Perhaps, our journalists are more than happy with such a story angle (on the events leading to the President’s approval). But should we not probe further – and ask the President how he sees his ‘non-executive’ role, which he has held for the past decade? Should we not ask him more about his understanding of the various schemes, and how supportive he is of these schemes? Not to forget asking how confident he is that these schemes would succeed. After all, why would he grant approval for the spending of public monies on initiatives which he may not believe in – not withstanding the fact that these initiatives came from the ‘Executive’ Government? Hence, did the President suggest measures to finetune some of these initiatives? The word is ‘suggest’ or ‘recommend’ – since he has no executive powers. Constitutionally, the President is empowered with veto powers over the spending of national reserves and monetary policies as well as over the appointments of key positions in the Civil Service, government companies and statutory boards. Personally, it would be more reassuring if my President acts to provide more ‘value’ for ordinary Singaporeans like myself – by utilizing more of his ‘powers’, however limited these may be. Almost 10 years ago, the late President Ong Teng Cheong did Singaporeans and the nation a great service with his revelation of a list of problems he had faced during his 6-year term. Until today, I still hear critics claiming that Mr Ong had raised those issues probably because the Government did not support his re-election bid. What these critics however fail to acknowledge or accept was the fact that Mr Ong had tested several issues during his six-year term. 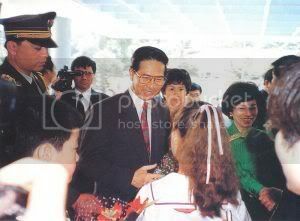 One such instance came in early 1995, when President Ong referred a constitutional question to the Special Tribunal under the new Article 100 – wherein the Tribunal was asked to consider whether the President could veto a bill to amend Article 5 (2A) and Article 22H of the Constitution. Let us also not forget how Mr Ong had pushed for the publication of the ‘White Paper on the Determination and Safeguarding of the Protection of the reserves of the government’ which was eventually tabled in Parliament in July 1999. Why did President Ong initiate these actions, even though he was not an ‘executive’ President? I was too young to vote in the 1993 Presidential Election, and of course, I had no opportunity to cast my ballot in the 1999 and 2005 elections. I am also pretty confident that I would not have the ‘opportunity’ to cast my ballot for my ‘desired’ president in the 2011 presidential election – which is just 30 months away. Not because of the high possibility it could be another walkover, but more because of my personal philosophy that unless I am convinced the candidate possesses some of the late Mr Ong’s traits, I would rather cast a void vote. Simply because I believe an ELECTED President can do more to protect our interests – regardless of whether he is an executive or non-executive president. And oh, by the way, do any of our journalists even remember the ‘White Paper on the Determination and Safeguarding of the Protection of the Reserves of the Government’ that was tabled 10 years ago? Has it become a White Elephant instead?